In 2010, the Royal Enfield silver shotgun was presented by the german motor press as a single piece. 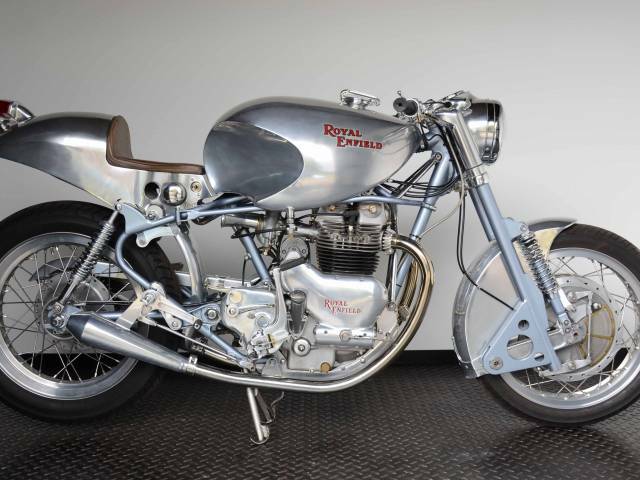 The silver shotgun based on the Royal Enfield Meteor 700. This single piece silver shotgun was built by the designer Eckkehard Homann. 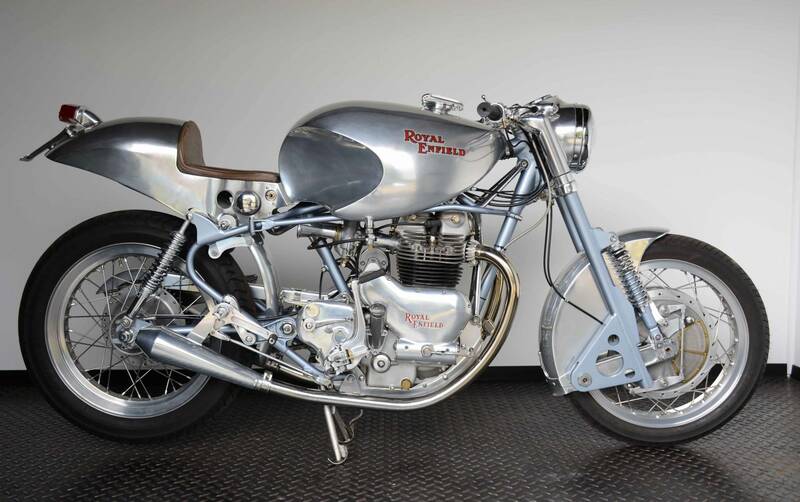 1,650 man-hours were spent building this unique Royal Enfield. Or a whole year without holidays at 8 working hours daily. First, the engine was completely overhauled and modified. There were classic tuning measures, polishing the intake ports, crankshaft, connecting rods performed. Of course, the crankshaft was fine balanced. The engine has since made about 50 hp. With the four-speed gearbox, a top speed of almost 190 km / h is possible. We have a german registration paper.